Tired of your sink and tub drain clogs here is the best solution!! Never use chemicals again! this is very simple all you need is a shop vacuum. Remove the inside filter attach the hose to the intake inlet. All you will need is a screw driver to assist removing access hair, to increase suction power cover the over flow with your hand and watch what happens!! Remember to turn on faucet to fill the trap after completion! Here is an item that's important when buying a new home or an existing one! 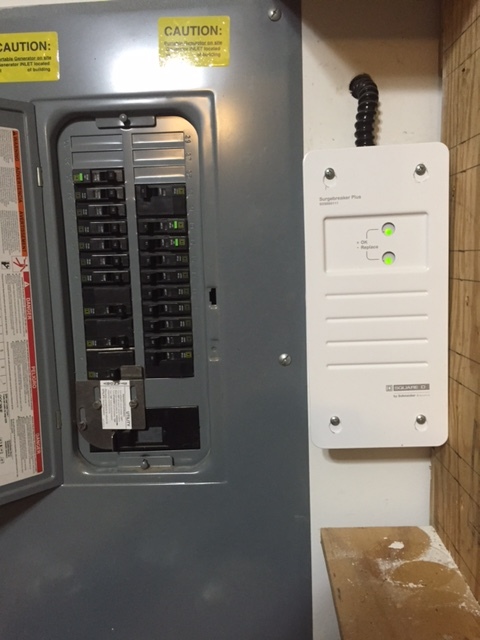 A hole house surge protector to protect all your appliances and electronics! InterLock Kits can be installed quicker and with less cost to the consumer and contractor than transfer switches or generator panels. InterLock Kits meet all NEC requirements for optional standby systems. ◊ Install energy-star rated storm and patio doors. ◊ Consider replacing existing windows with new energy efficient, Energy-Star rated windows. ◊ Check all exterior doors for weather stripping and threshold for door sweeps and replace or install if needed. ◊ Check all windows for leaks, cracks or bad weather stripping gaskets and replace as needed. ◊ Check and caulk or seal all exterior penetrations like doors, windows, plugs, lights, siding trim ect. ◊ Install insulating shades and drapes on all windows. ◊ Keep blinds and drapes open in daylight hours during the winter months for solar heating. ◊ Use power surge strips or hole house surge protector for all appliances and electronics like TV, computers, dvd, players, ect turn off when not in use. ◊ Check and replace refrigerator and oven door gaskets if needed. ◊ Install Energy-Star appliances when its time to replace. ◊ Install an insulating blanket around your water heater. ◊ Flush and rinse your water heater once a year. ◊ Consider installing a tankless water heater. ◊ Install low flow faucets and shower heads. ◊ Install dual flush toilets or set tank float to lower water level. ◊ Replace standard light bulbs with compact fluorescent light bulbs or Led bulbs. ◊ Change exterior light fixtures to motion lights. ◊ Clean and replace furnace filters on a regular schedule. ◊ Have your furnace and A.C. serviced and cleaned on a regular schedule. ◊ Install electronic programmable setback thermostat for heating and cooling. ◊ Install ceiling fans in central locations throughout your home. ◊ Install an attic fan for removal of heat from the attic during summer months and to provide air exchange, reducing the threat of mildew problems. ◊ Consider installing a less expensive solar heating system called solar hot air collector. ◊ Consider installing a sunroom for passive solar heating. ◊ Close fireplace dampers when not in use. If you do not use your fireplace for wood burning install a chimney balloon to seal off cold air drafts and prevent heat from escaping. ◊ Weather strip or gasket attic and crawl space access. ◊ Check insulation levels in attic, walls and floors and add if needed. ◊ When its time to upgrade your home exterior cladding, take into consideration the benefits of low-maintenance insulated vinyl panels. ◊ Install carbon monoxide detectors. Revised: 28 Nov 2017 16:31:57 -0500 .